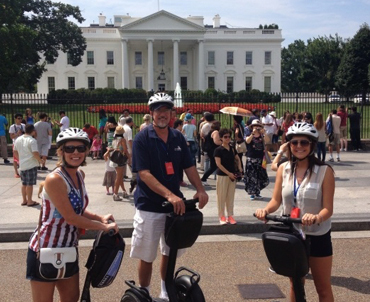 No matter your group size, we can arrange a memorable Private VIP Segway PT experience in Washington, DC. 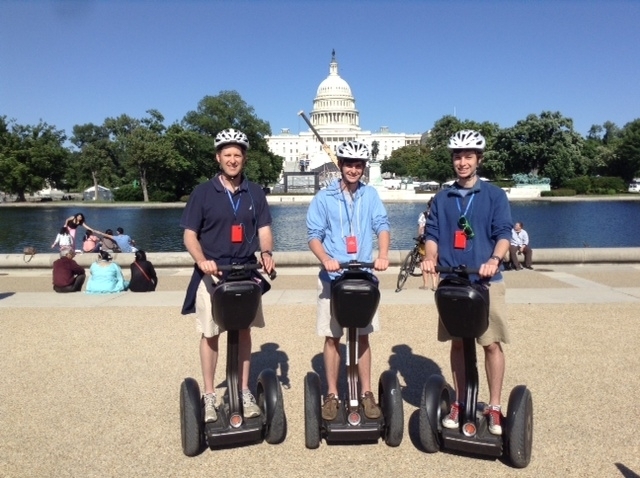 Experience Washington, DC in a new way with Capital Segway’s Private VIP Tours! No matter your group size, we can arrange a memorable Private VIP Segway® PT experience perfect for birthday parties, corporate team building, meetings, family reunions, social groups or just plain fun with your friends or family. Effortlessly glide to all your must-see sites with an experienced DC-licensed tour guide. Private Tour rates include your own personal guide, extra training staff (as needed) and customized routes. Start times are flexible – give us a call or email us to set up the perfect excursion that fits your schedule! Custom routes and tour stops – tour at your own pace! Every Capital Segway PT tour is a 5 star experience. But the private nature of the Capital Segway VIP Tour goes above and beyond. Leave the crowds behind with your group maneuvering through the city. People will want to take pictures of you on your VIP machines, and even the president might be jealous when his motorcade stops for your Capital Segway VIP Tour. To book your Private VIP tour call 202-682-1980 or email vip@capitalsegway.com today!